The only meaning Monte Carlo has for me are images of Grace Kelly and Cary Grant in To Catch A Thief? As a child, I was sure my future husband would be a reincarnation of Cary Grant. For years I unconsciously measured all boyfriends against Cary. Some were debonair, but not witty. Some were cool under pressure, but cracked when it came to intimacy. By the time I met my husband, I had long given up on meeting a Cary-look-alike. I had happily moved on. Yesterday, FIAF offered a program in honor of 150th Anniversary of the Principality of Monaco. The exhibition of photographs by Gabrielle Basilico, commissioned by the principality, concentrated on the urbanization of Monaco. This rocky outcropping has turned into a place as dense as midtown New York. 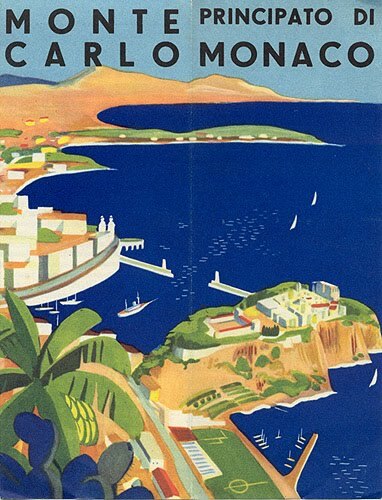 Without Monte Carlo, what would Monaco be? 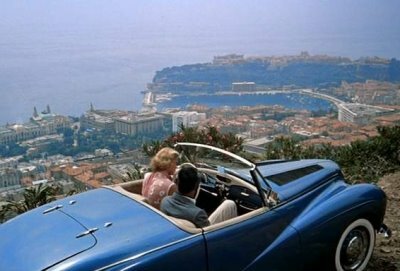 The docudrama, commissioned by Societe des Bains de Mer de Monaco, written by Kate Krasuski and directed by Francois Freynet, attempted to trace the history of Monte Carlo. How did it become a playground for the rich and famous? Using vintage footage, the film answered this question. Francois Blanc and his wife, Marie were hired in 1866 by Prince Charles III to make Monaco a "gaming destination," bringing people and money to Monaco, a sleepy, poor country. The husband and wife partnership delivered on the Princess's desire and more. They created Monte Carlo and its wealth. I took my niece, Lola, who is in the US for a summer work experience with the Vermont Conservation Corp, to the exhibition and film. Afterwards, we went out to dinner and I asked Lola what she thought of the film. "It seemed a bit like propaganda. I liked the docudrama part. I thought it was clever to have the recreations in color and the vintage footage in black and white. The narrator made one remark that struck me. In the beginning of the film, the narrator recounts that "Monaco was just lemon and olive trees." That's NOT nothing. I had to agree, what I wouldn't give for a few lemon and olive trees in my backyard. The history of gardens designed and tended by their owners are the autobiographies of their owners. North Hill, the home of Joe Eck and the late Wayne Winterowd, is chronicled in a number of books written by both men. 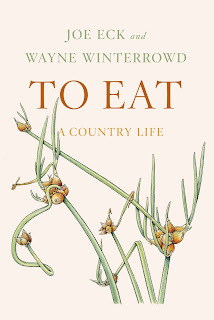 The latest book, finished by Joe, after Wayne's death is "not a book about gardening or about eating. It's a book about love." Joe Eck read 4 chapters from To Eat at the Hort Society last night. He has a hushed voice. I was in the second row and could hear perfectly. I wasn't lulled to sleep. I was gently rocked into a stupor. I felt a little envious of this love at first sight couple and the lives of gardening and eating. Joe and Wayne cultivated. This book is a homage to their long life together. It was finished by Joe after Wayne passed. And it is a tribute to Joe that he managed to keep the tone and the writing of their joint voice. After living together for 42 years, they perfected the art of writing a book together. As Joe said, this book does not have the in-depth gardening wisdom and knowledge of many of their other books. It is about the origin of some of their ideas about living, their relationships with friends and especially their decision to live their lives without the trappings of grandeur or money. It's a life many of us aspire to. I have been to North Hill many times over 20 years. It's near my house in Vermont. Joe and Wayne's garden is a garden I admire. It's developed over years. It has a very unique micro-climate for Vermont ( they can grow things no one else in Vermont can) and it's been changing and evolving for over 30 years. In 1988, North Hill was open (as it used to be in those days) as a benefit for the Brattleboro Hospice once a year. It was a very hot day in July. Guests parked their cars in the nearest town and a shuttle bus was provided to the garden. Vermonters are not heat lovers and everyone looked and felt exhausted by the humid air. Part of the garden is on a hilly site. Walking up the hill toward the house, I noticed a very unusual site. 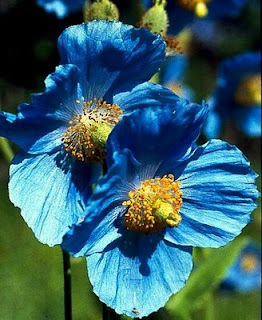 Someone was pouring a pitcher of ice water on Himayalan Blue Poppies (Meconopsis grandis). It was Joe. 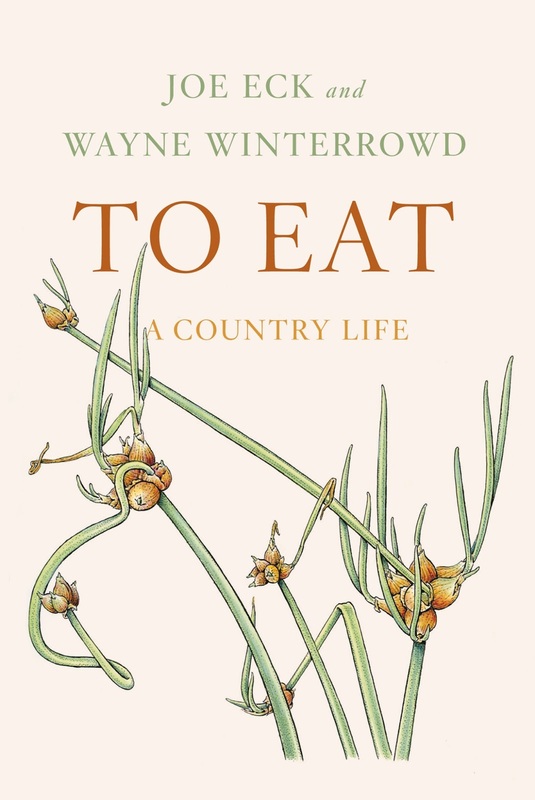 Joe and Wayne's book To Eat is about remembering and savoring. The memory of Joe pouring ice water on his blue poppies is one I will never forget. 15 years ago, this act of dedication and folly was emblematic of what how a "real" gardener took care of his/her plants. I've since grown up. I know Joe has. 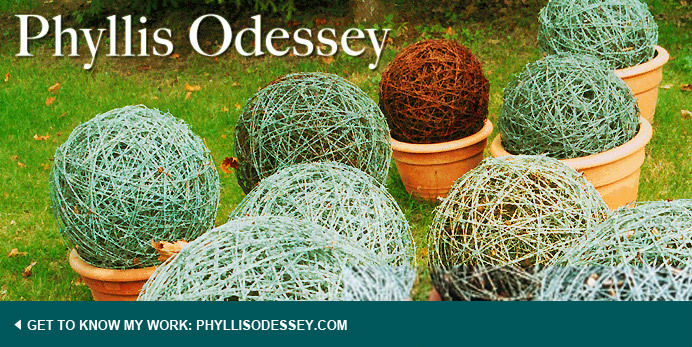 until October 11th and 12th. and usually a staff member is on hand to answer question. making gardens both small and large. Who doesn't want to hear David Chang talk about food? Buying a ticket, I knew from the get-go, the topic of conversation at the New School was the interaction between the culinary experience and the physical design of the restaurant. Conceptually, it struck me as a great idea, but the reality was far different. For many people, David Chang is a food guru. His ever expanding empire is a testament to the popularity of his menus and ideas. Chang's latest venture in Toronto, 4 restaurants stacked one on top of the other represents the diversity of Chang's mindset. From noodle bar on the first floor to high-end tasting menu on the top floor, the Toronto restaurants are a departure from the Chang look and feel. They are designed. This was the point Chang wanted to make. His first restaurant, noodle bar in New York was not designed. It functioned by default. He found a space that he could afford. This space like all his other restaurants, not including Toronto, were made into restaurants by the cheapest possible means. The fact that one had to walk through the kitchen or the lack electricity to air-conditioned the space was the Chang way. "The food is the thing. I never think about details, like the bathroom." Customers can put up with a lot for great food. Chang delivers. He named some of his favorite restaurants. All of which are fancy and expensive. Chang started to laugh. "The flowers at Gramercy Tavern are beautiful. When I think about them, I am so glad we don't have flowers at any of my restaurants. We just have a blank box." It was a simple message: one not of form following function or even the other way around. "The desperation to make ends meet, makes me think about the food and only the food."